Buy top quality Cannabis Seeds from Seedsman today. Our range of marijuana seeds is one of the largest online, with more than 3000 varieties of Cannabis Seeds available to buy. Our diverse library of cannabis seeds includes a wide range of feminised seeds, regular seeds, autoflowering seeds as well as potent high THC strains and high CBD medical strains featuring superior genetics from every corner of the globe. You can also keep up to date with the latest Medical Marijuana news on our blog. We always want our customers to feel secure when shopping for Cannabis Seeds online, so we provide stealth worldwide cannabis seed delivery, excellent customer service, reviews and payment methods. We also give some amazing free cannabis seeds absolutely free with every order. Our range of quality marijuana seeds includes strains from over 100 seed banks around the world, including our very own Seedsman seed bank. We also stock seeds from legendary seedbanks such as Barney’s Farm, Sensi Seeds, Dutch Passion and Bodhi Seeds. Discover our comprehensive collection of feminised cannabis seeds here. Search through our amazing autoflowering cannabis seeds here. White Widow is classic strain from Seedsman available as regular, feminized or autoflowering. The Blueberry Cannabis strain is without a doubt one of the most exquisite and colourful cannabis hybrids available in seed form today. Almost thirty years after its re-discovery, Cheese strains are now one of the most popular varieties in the world. Haze is known for its extreme potency, with very high THC levels and an uplifting, almost psychedelic effect. Its potency and distinct flavour and odour make Kush one of the most revered varieties among cannabis connoisseur. No other indica plant besides the legendary G-13 has accumulated such widespread recognition and fame. Sour Diesel is revitalizing energy emiting sativa hybrid. The mission at Seedsman has always been to help preserve the most loved cannabis strains for future use, whilst also endorsing a legal cannabis societal framework, which can be controlled and regulated. 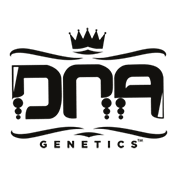 In order to ensure that future cannabis cultivators are left with a diverse enough gene pool, we are very active when it comes to any genetic preservation projects. At Seedsman, we hope that when politicians and law makers realise that a regulated cannabis market is the safest way to proceed, the gene pool will remain as varied as possible. This diversity also make cannabis less prone to diseases and pests, which therefore allows for a larger scope for research. It is for these reasons that we will continue to sell an increasing range of diverse cannabis seeds and to encourage customers to preserve the seeds until it is legal to grow them in their jurisdiction. It is for these reasons that Seedsman uses a portion of its profits to help promote charities, organisations and movements advocating legal change within the United Kingdom and around the world. 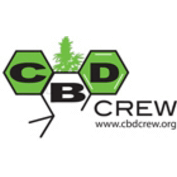 For the last decade, we have been supporting many organizations and attending trade shows and conferences, building a network of like-minded contacts in the hope of making a real change for cannabis users. We would ask that everyone who visits our website to do exactly the same; keep up to date with the latest happenings around the globe, attend your nearest cannabis festival or exhibition, even get involved with some writing. The more people who help initiate change, the sooner the change will come.